Community Safety Officers (CSOs) are on duty 24/7/365. CSOs patrol all campus areas, provide community services (e.g., safety escorts, door unlocks, jump starts, etc. ), take crime reports, and respond to emergencies. CSOs are trained to provide emergency medical assistance and to call for police/fire/medical responders when necessary. Community Safety has trained staff to receive and investigate reports of sexual assault and/or refer reports to both internal and external resources. 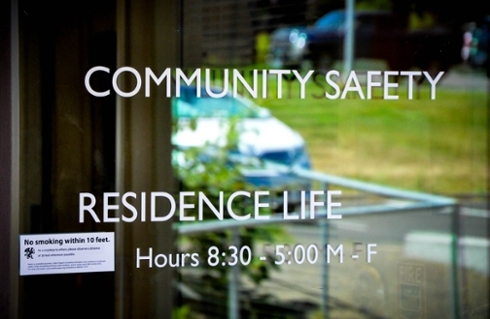 Community Safety staffs the college's switchboard and triages request for most services after hours. Community Safety staff help ensure the safest possible campus through continuing collaboration with the Reed community and beyond. Provide a safe college community through collaboration. For more information on sexual assault resources, see the Sexual Assault Prevention and Response website. For information on Title IX reporting and complaint resolution, see the Title IX Coordinator website. Fill out our anonymous, four-question web survey. 503/788-6666 If there is no answer we may be experiencing technical difficulties. Call 503/849-8678.